Chardonnay a winner wherever it heads. Enjoy it with all kinds of shellfish. YOU'VE possibly never heard of Cherry Tree Hill wines, but take note because here's a small maker in the Southern Highlands of NSW that's on the go – after twelve years of hard work it's now got a half-dozen top-quality varietals and blends, of which over half already have a barrel-full of rewards from major shows, regional events and even an International Challenge. 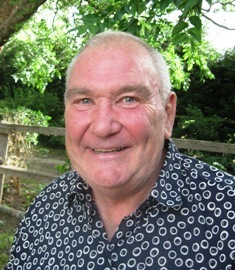 Gabi Lorentz and his family established a family farm at Sutton Forest in the Highlands after landing in Australia 30 years ago, and with fond memories of riding through his famous grandfather's vineyards back in Hungary by horse-and-cart as a boy, decided in 2000 to start growing grapes himself in this newest of Australian wine regions. Cabernet Sauvignon and Riesling were followed by Merlot, Sauvignon Blanc and Chardonnay, with highly-respected local makers Anton and Mark Balog contracted to turn this fruit into grand drops now available online – and with an interesting Wine Club that gives members up to 30% in discounts, and a Cellar Door to open in Spring. 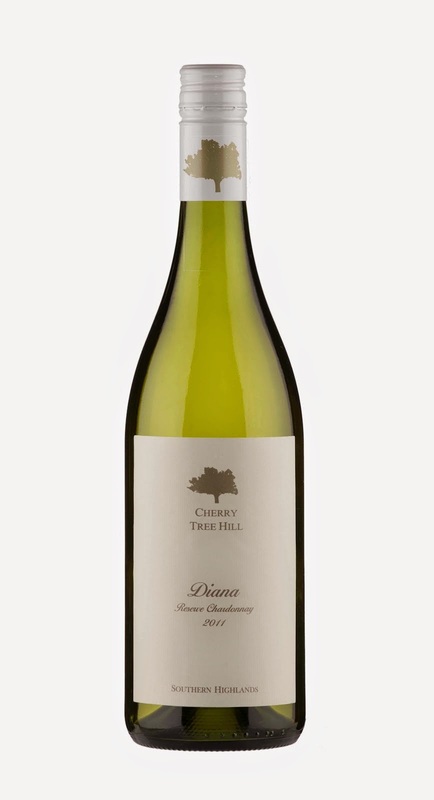 Until then you can buy as little as a single bottle online: if you love a Chardonnay, go for the 2011 Cherry Tree Hill Diana that abounds with varietal citrus and grapefruit, almond nougat, butterscotch and a toasty elegance – and absolutely ideal with shellfish. Great value at $35 (plus $12 freight for any number from 1 to 48) with Club discounts reducing it to just $24.50. Www.cherrytreehill.com.au or phone Dave Lorentz 0414 366 000.
friends over lamb roast with rosemary potatoes. ONE TO TRY: GREAT enjoyment as the nights get colder is a 2012 Chandon Heathcote Shiraz from Central Victoria, a wine with loads of berry fruit flavours and nice varietal spiciness that goes so well with a range of cooler to colder weather foods. The Heathcote region has a reputation for Shiraz that show marvellous concentrations of flavour, and this is the time of year to enjoy it to its fullest: being medium-bodied this one makes for nice easy drinking without overpowering the foods its matches best – think about a good lamb roast with rosemary potatoes or black pepper beef. At $31 you'll find it really rewarding buying for that next dinner party. slow-roasted beef brisket or beef stew. TIM ADAMS has been producing an absolutely marvellous Clare Valley Shiraz under his Aberfeldy label since 1989, and it seems fitting that his latest release – the 2010 – is both what he considers "his best Aberfeldy to date," and also his 21st vintage of the wine. 2010 was a spectacular vintage throughout the Clare Valley, and while a stand-out for red wines generally across south-eastern Australia, it was Shiraz in the Valley that had everyone talking. Tim took advantage of this great vintage to use the most outstanding parcels of fruit from old, premium dry grown vines for his Aberfeldy Shiraz, and threw his all into crafting a wine that many experts and buffs are already saying has potential for anything up to 20 years in bottle – only getting better and better by the year. At $65 this is a wine to grab a bottle or three of while you've an opportunity, both for special occasion enjoyment now and for over the next couple of decades on other equally special occasions. With full-bodied dark berry fruit flavours, and balanced oak, tannin and acidity, and lovely Shiraz white pepper notes on the nose, enjoy it on its own, or at the table with a Winter-time's classic slow-roasted beef brisket or beef stew. buttery sauce will have you drooling over this one. ONE TO NOTE: BOUTIQUE Hunter Valley winery, Hungerford Hill has released its latest "Classic" series wines – drops that are actually made from fruit from the cool climate Tumbarumba region in the foothills of the Snowy Mountains. 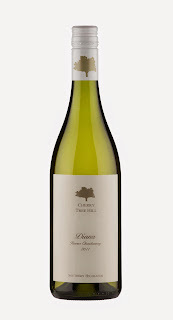 Included is a 2011 Classic Tumbarumba Chardonnay, a worthy successor to the 2009 and 2010 that have had some of Australia's highest accolades heaped upon them, and which is shaping-up to be quickly recognised with equal plaudits. With beautiful ripe stone-fruit flavours coupled with suggestions of ruby red grapefruit and nutty bread, this is a real mouth-filler wine. Pay $36 and savour with pan fried snapper or roast chicken, each with a creamy or buttery sauce that'll truly enhance both these food/wine matches. drop with Spanish seafood paella. WHEN the folk at Katnook Estate in the heartland of South Australia's Coonawarra decided to plant Sauvignon Blanc for winemaker Wayne Stehbens to see what he could achieve from the variety, neither owners nor Wayne realised quite what an adventure they were embarking upon. Because it was 1981, and decades before Sauvignon Blanc was to become the darling it is today, and with Wayne surprising everyone with the drop he crafted then, and has continued to do so for over thirty years. And his latest, from the 2012 vintage, is a cracker drop from what he refers to as "an extraordinary year for the variety," with slightly warmer conditions than normal and below average rainfall, that together meant for early-ripening fruit that could be harvested in top condition. Wayne also added a 5% splash of Semillon to this wine, helping boost its varietal grassy notes to complement its passionfruit, grapefruit and gooseberry flavours, and zesty mineral hints. A really top-drop he ranks amongst the best he's ever made, and remarkably for a Sauvignon Blanc showing great potential for 10+ years cellaring. rewarding with cooler weather steak and kidney pie. Pay $25, and for an ideal match put it on the table with Spanish seafood paella. ONE TO NOTE: DURIF is still a somewhat rare wine in Australia, with Rutherglen being considered its "home" here after canes brought from its natural homeland in the south of France were planted there in 1908. Morris Wines' 2007 CHM Durif is a stunning example of just how good this wine can be: an almost opaque ruby-black in the bottle, this one's got an intense fruitcake, chocolate and spice bouquet, coupled with full-bodied flavours of rich cherries, plums, blackberries and spice, and intense tannins. Rutherglen's soils and climate are ideally suited to Durif, and combine these with the winemaking skills of those like Morris Wines and you've a marvellous drop that at this time of year goes ideally with a steak and kidney pie. Pay $60 at fine wine outlets. that's ideal with pork or veal dishes. WAY back in the 1860s Dr Henry Lindeman realised the advantages of blending same-variety wines from different regions with differing growing conditions, and thus creating that "something special" in varietal taste and enjoyment. And while the company has regularly blended single varieties from different regions since, it's just released a new label it calls its Regional Series and which showcases classic single varieties from complementary regions. These blends, it says, capture the best characters from each region to deliver wines that are beautifully balanced and expressive of variety. With vineyards dating back to 1843 in the Hunter Valley and later in Watervale and the Clare Valley, the Adelaide Hills and Yarra Valley, Lindeman's has excellent assets to draw on for unique, outstanding characteristics in these new single variety blends. Using fruit from two vineyards for each of three Regional Series blends – a 2011 Pinot Noir Chardonnay Vintage Cuvee, 2013 Chardonnay and 2012 Cabernet Sauvignon – they've crafted wines of great value at just $23 each. The Regional Series Chardonnay is particularly rewarding, being made from fruit from the Hunter Valley and Adelaide Hills, with creamy stone-fruit, refined citrus and green apple flavours to the fore… and ideal to partner with pork or veal dishes. blend of French origin to enjoy with barbecued steak and mushrooms. ONE TO NOTE: SOME 40-odd years ago, in the 1970s, Claret was all the rage to bring out at the barbecue or to put on the table for Sunday's family roast beef lunch. 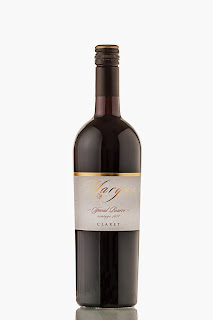 Not many makers label a wine Claret in Australia these days, however, preferring instead to put the blend (mostly Cabernet Sauvignon and Merlot) on their labels. But the Hunter Valley's Andrew Margan has just released a very more-ish 60% Cabernet and 40% Merlot as a Margan Special Reserve Claret, and it's a real stand-out of this classic French-origin combo that will only improve with age: fleshy Merlot characters upfront, intense cigar box and spiced plum from the Cabernet, and lovely tannins. An ideal wine with barbecued steak and mushrooms, or after-dinner cheeses. Pay $50.